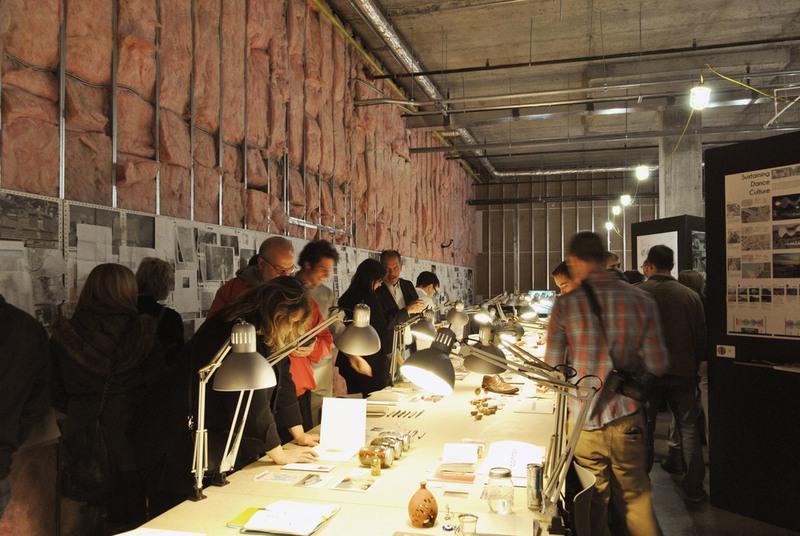 Pop-up design and exhibition space. Architecture and Interior Design students worked together in the studio. Photo by Luke Sherron. Following a two month travel abroad experience in Europe, architecture and interior design students returned to Cincinnati to exhibit work completed over the course of the two months spent abroad. Sketches, watercolors, photography, and architectural projects were displayed in a vacant storefront space near campus for a public exhibition over the course of two nights. Our experience in Europe taught us to make the most of being a stranger in a strange land. 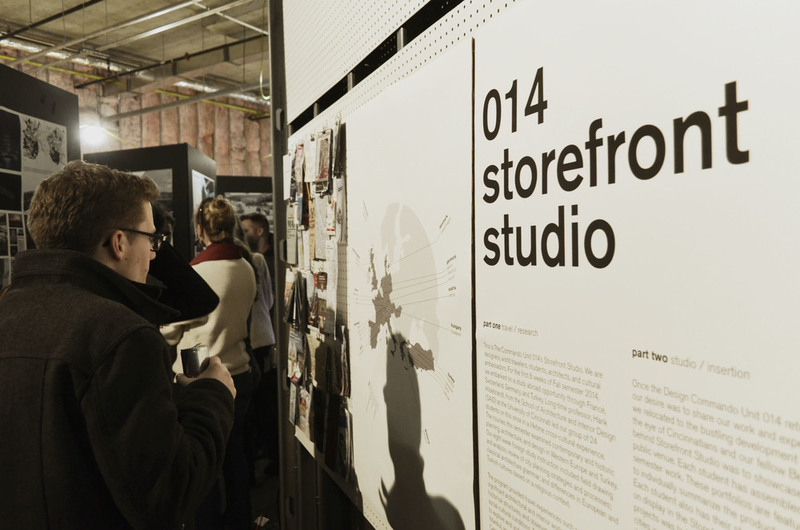 The unique format of the storefront studio reinforced the importance of learning to adapt to new places and created a platform to easily disseminate our work, something harder to do within the confines of a traditional architecture studio. I worked with several members of the studio to draft a proposal to DAAP administrators that led to the approval of our storefront studio format. Members of the studio were responsible for the design and construction of the space, branding, and marketing. 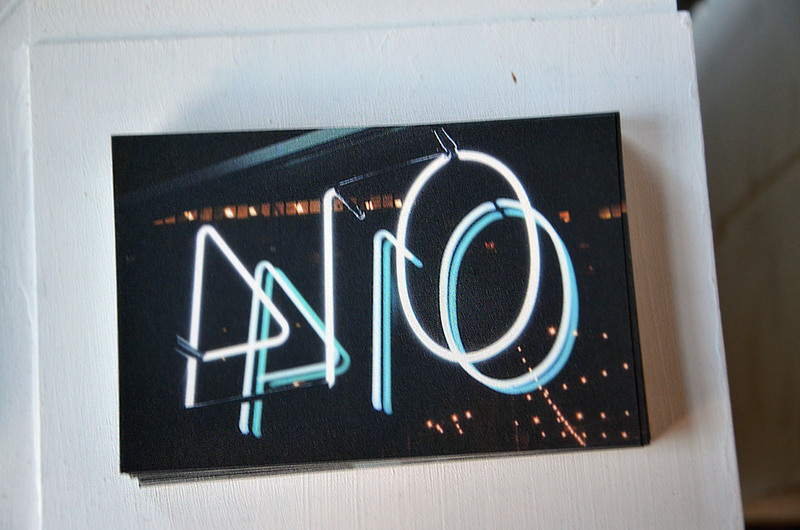 Within the graphic design team, I helped to create two neon signs for our storefront display as well as promotional material for the studio’s visitors. The space was generously donated by Towne Properties. Exhibition Opening. Photography by Connor Brindza, Luke Sherron and Arian van der Aar. Storefront Branding. Photo by Kyle Winston.